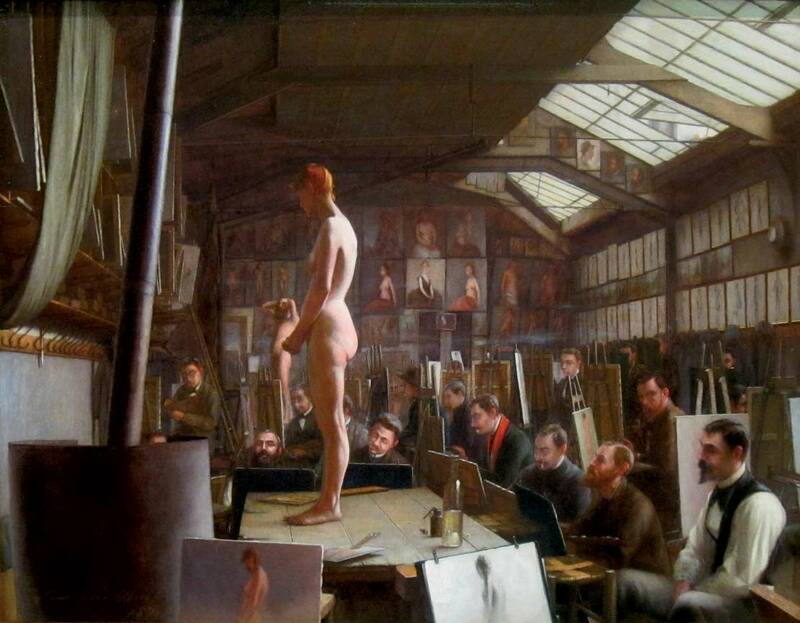 The success of this prestigious art school was also down to it’s innovative approach incorporated into teaching methods; taking into consideration the needs of students whilst adapting to the ever-changing artistic movements. 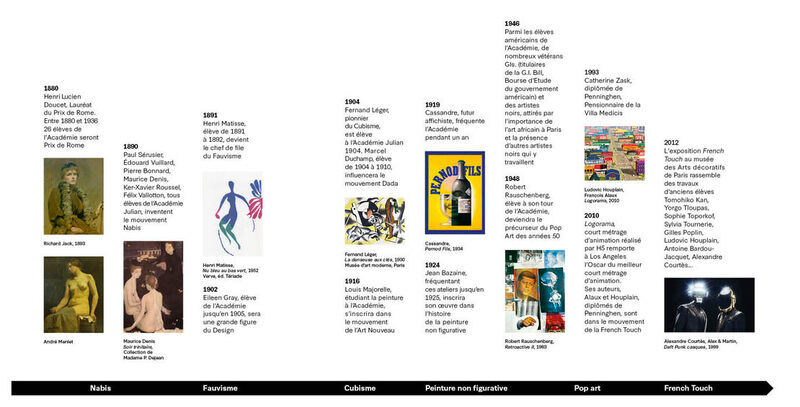 Today, Penninghen students learn to master their art in the footsteps of famous artists and former students such as Maurice Denis, Fernand Leger, Henri Matisse, Robert Rauschenberg, Edouard Vuillard Affichistes (poster artist) such as; Cassandre, Alphonse Mucha and Bernard Villemot, as well as architects Jacques Majorelle and Henri Van de Velde, sculptors; Jean Arp, Jean Dubuffet, François-Xavier Lalanne, filmmaker; Fritz Lang, Photographer; Jacques-Henri Lartigue, plus furniture designer and Architect Eileen Gray. 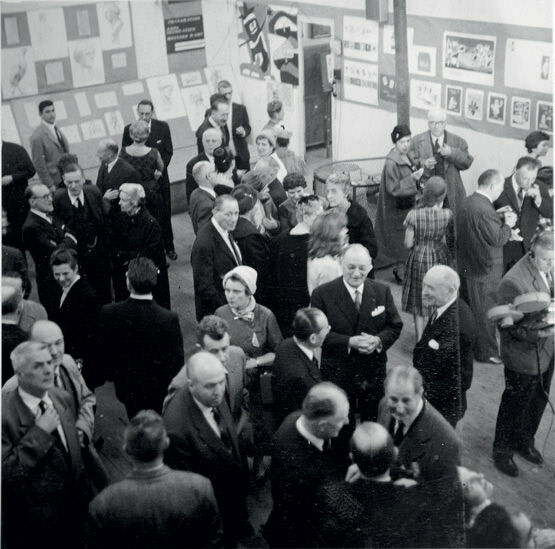 Since 1968, students have learnt from renowned professionals in the graphic design field such as Jacques-Nathan Garamond, Jacques Auriac, Roman Ciesclewicz, Tadeusz Lewandowski, Peter Knapp, Paul Gabor, Paolo Roversi and Franck Horvat, as well as within the interior architecture sector: Jean-Rene Caillette, Michel Mortier, Antoine Philippon, Borja Huidobro, Claude Ducoux and Jean-Pierre Vitrac, to name but a few! These highly esteemed professional trainers are experts in their specific field and have a wide variety of different backgrounds. All passionate about design, they come to Penninghen to share their knowledge and savoir-faire with our students.